Do you keep putting off making your personal website? Are you not sure where to start? Are you afraid to talk about your accomplishments? Fear no more! Whether it’s to document your current career accolades, or build out a beautiful resume site, Ladies Get Paid and Squarespace are joining forces to help guide you through the process. 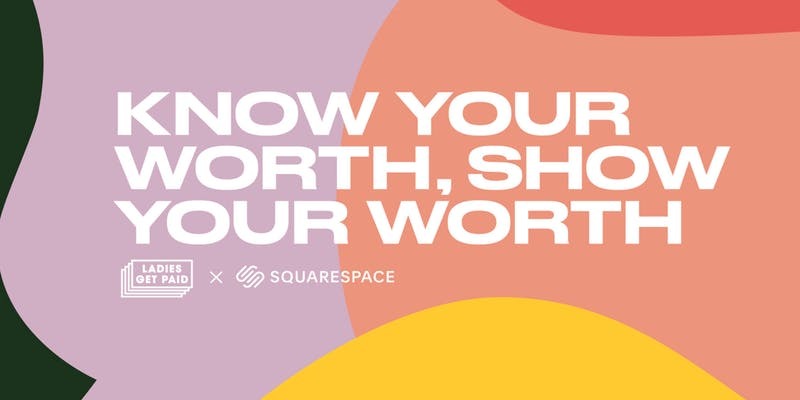 Join us Wednesday, March 27th at 6:30 PM at Squarespace HQ to celebrate the launch of our newest partnership: Know Your Worth, Show Your Worth. We’ll drink to our accomplishments, nosh on eats from women-owned local businesses, and have guided workstations for all attendees to make sure you don’t put off showing your worth any longer. Space is very limited, RSVP to grab your spot now.